Congress demands Obama act to keep Islamic terrorists out of U.S.
AZBD Note: The first sentence of this article below is a complete lie. There are no “friendly-ish Syrian rebels”. They are all Islamic nutjobs. The United States has been funding ISIS with money, aiding them with training and proving them weapons. What do you think Benghazi was about? 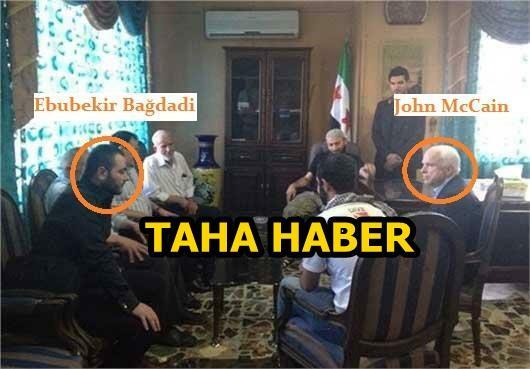 What was John McCain doing meeting with the leader of ISIS a year ago? More than half of the countries on the U.S. visa waiver list — including most close European allies — have had citizens join the fight in Syria, according to data from a June report by the Soufan Group. Analysts said they could use their passports to bypass initial levels of scrutiny by U.S. screeners.